Meet the easiest way to go truly green! 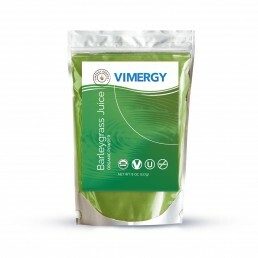 Vimergy’s premium USDA Organic Barley Grass Juice Powder nourishes and detoxifies the body. 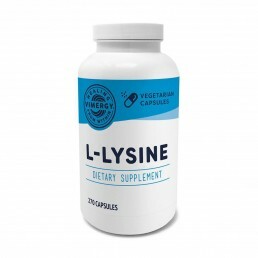 It also contains life-giving micronutrients that can be a game changer for your health. 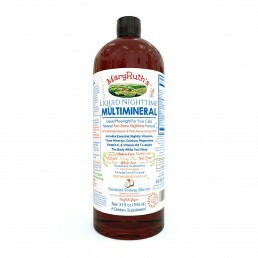 We face toxins and pollutants on a daily basis in today’s world. 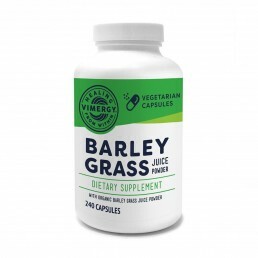 Barley Grass Juice Powder helps us take out the bad and bring in the good. It can detoxify the liver and pull heavy metals out of the body. [12,14] It also contains life-giving micronutrients that can be a game changer for your health. 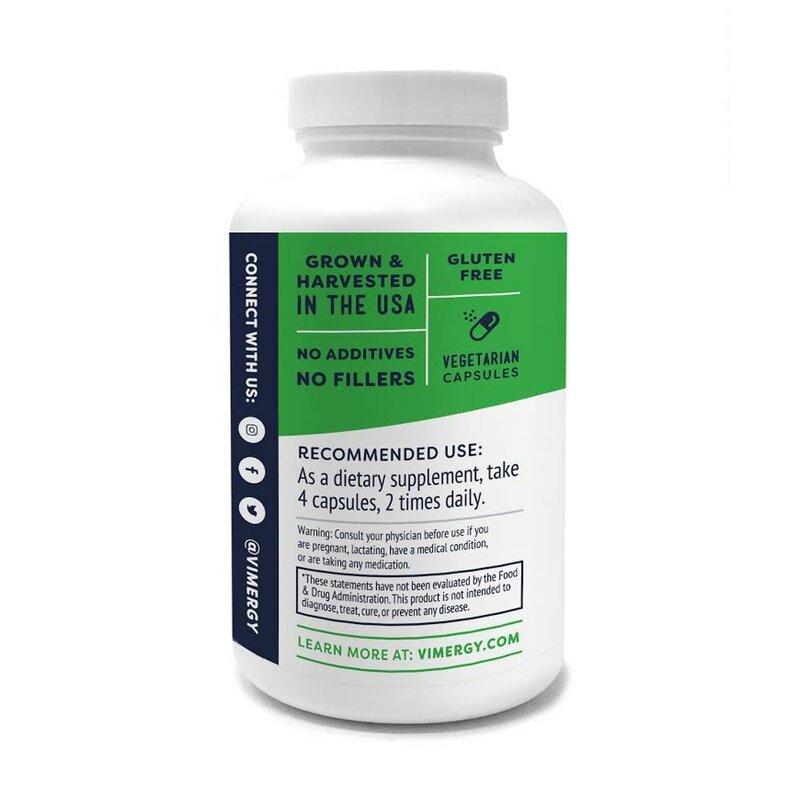 This extract in capsule form is an effortless way to incorporate the power of Barley Grass Juice into your diet, even on the busiest days! 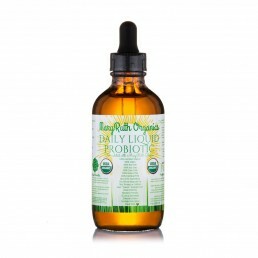 Organic BarleyGrass Juice Powder is Organic, Kosher, Gluten Free, Grown in the USA and can help naturally increase your iron level. The green grass shoot does not contain gluten, unlike the wheat grain. 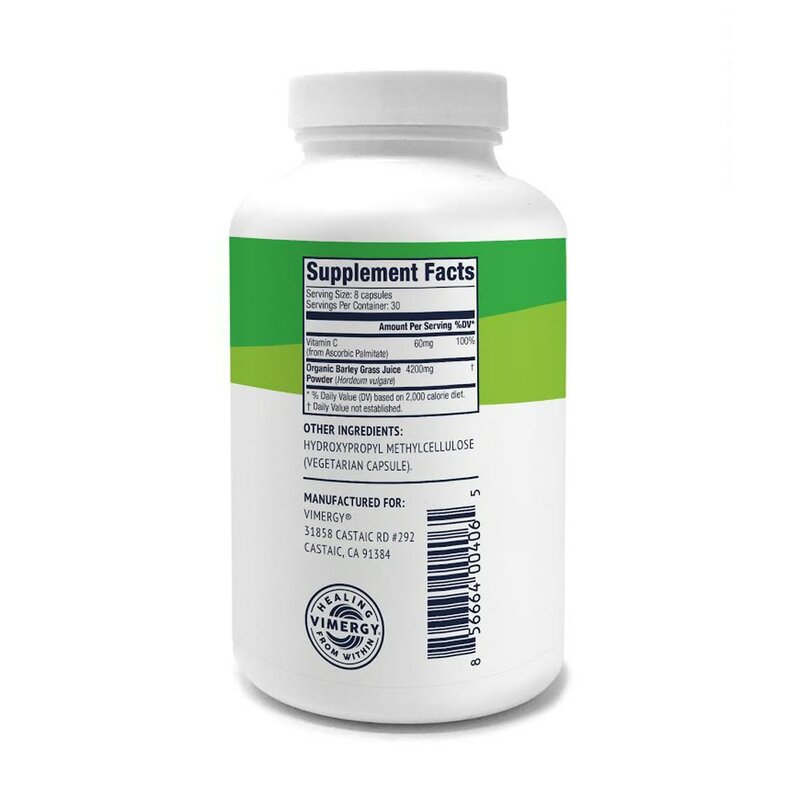 BarleyGrass Juice Powder may support alkalinity in the body, provide digestive support and potentially supports cardiovascular health. Vimergy’s Barley Grass Juice is concentrated 23 times making it very powerful. 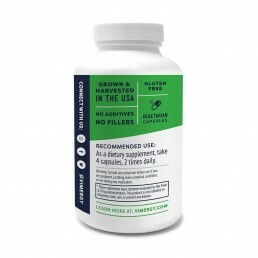 Each capsule contains 4200mg of Barleygrass juice powder and 60mg of vitamin C.
Contains no additives or fillers. 100% Pure. 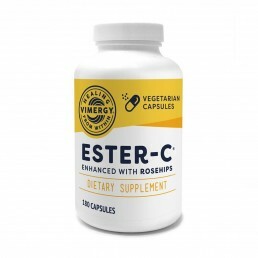 As a dietary supplement, take 8 capsules daily.